In an earlier post I talked about the importance of tempo in your golf swing. Most instruction books mention tempo, but go no further saying they’re in favor of it and end up wasting two or three pages with contentless blather that teaches you nothing useful about making good tempo part of your game. John Novosel explains, in his book, Tour Tempo, how he discovered through video analysis of elite golfers’s swings that the golf swing consistently breaks down to 3 units of time going up, to 1 unit coming back down to impact. He also noted that while different golfers have different swing speeds, they all swing with this same 3:1 ratio between the backswing and the forward swing. 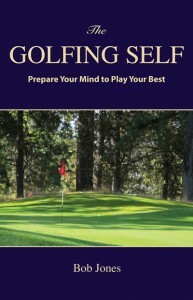 Novosel then developed a program of instruction so golfers can learn to swing with this 3:1 characteristic. This program is contained in a disc that comes with a book that and video and audio tracks. Let me recommend this book to you with several caveats. Second, the audio track ratio is 2:1, not 3:1. The sound tracks on the disc are precise 2:1 intervals. Watch the videos to learn the exercises, but don’t listen. You’ll get the wrong rhythm in your head. Third, the sound tracks coach you through only three discreet tempos. If the tempo that feels right for you and lets you hit the ball the best is between two of these tempos, you won’t be served by using the disc as a training guide. 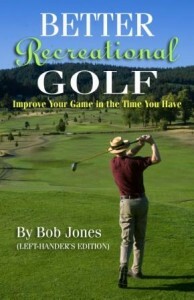 Keeping those things in mind, this book has had and continues to have an enormous impact on my game. I worked hard to find the tempo that is right for me and to maintain it. I hit the ball really well when I swing at my tempo with the right rhythm. When I start hitting poor shots this is the first thing I check, and getting back to my preferences is usually all it takes to start hitting the ball well again. 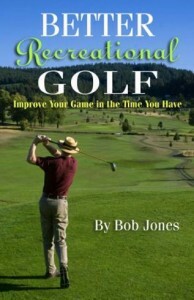 Building the correct rhythm and tempo into your swing, will be the best thing you ever did for your golf game. While swing changes should be a matter between yourself and your pro, there is one change I am going to recommend to you. It is one that you very likely need to make. Stop casting. Casting is releasing your wrist set (the angle between the clubshaft and your left forearm, right forearm for lefties) just after you start the club back down from the top of your backswing. It looks like you’re casting a fishing line, hence the name. Do this, and you lose power and accuracy for no good reason. Do you cast? Let’s find out. Swing up to the top of your backswing and look over your shoulder at the angle made by your forearm and the clubshaft. Set up again, swing the club up and then back down, stopping when your hands get hip high. Look at the angle your forearm and the clubshaft make now. Is it the same angle? If the forearm and shaft now make a straighter line than before, you’re casting. The correct move is to retain your wrist set at least to that point until the speed of the swing builds up to where the set is naturally released and the club lashes into the ball. Here’s an exercise. Swing up to the top at your usual speed, and swing back down slowly, very slowly, until your hands are hip high. Concentrate on maintaining that angle between your leading forearm and the club shaft. The way to do that is to turn your lower body and let your upper body follow at first without adding rotation of its own. Slowly swing from hip level up to the top again and back down to hip level. Do this four times, and the fifth time, swinging at the same speed, swing through a finish, letting the wrists release. The wrong way to stop casting is to hold onto the angle for dear life for as long as you can. That puts tension in your forearms, wrists, and hands. The wrists can’t release into the ball on time because they’re so locked up. Your ball striking will get worse, not better. People do that when they try to get a “late hit.” There’s really no such thing as a late hit. Get that phrase out of your head. A relaxed swing with a retained wrist set delivers the hit on time. In closing, let me repeat that the release of the wrists as they approach impact is a natural response to the momentum of the swing. It is not a deliberate act. It is not something you do. It is something that happens. Long irons have always been the clubs of last resort for many recreational golfers. On the one hand, when you hit it, the ball flight is just a joy to watch. On the other hand, you might get only one shot like that out of who knows how many tries. I could hit my 4-iron like that two out of three times, my 3-iron about one out of three times, and my 2-iron was for the tee only. I had three clubs in my bag that weren’t doing me any favors. One day about five years ago I went to the range and there was a Ben Hogan demo day. Ben Hogan line was still a prominent player in the equipment market. I talked to the rep about the hybrid irons I had been hearing about and he gave me a 21-degree club, equivalent to a 3-iron, to try out. I walked over to an open mat and dropped a few balls. The club felt a bit heavy, the head as a lot heavier than my 3-iron, so I decided I would take an easy swing at the ball the first time. Whack! The ball flew out straight and long, as good as any 3-iron I had ever hit. “That’s nice,” I thought, “let me try that again.” Whack! Same thing. Straight, high, and far. A third easy swing, same result. I don’t hit my 9-iron that well three times in a row. He launched into the spiel about how easy they were to hit and how everybody should replace their long irons with hybrid irons. I needed no convincing. About a month later I ordered a 19-, 21-, and 24-degree hybrid and tossed out my long irons. I would recommend you do the same, and you might take a close look at replacing your 5-iron with a hybrid iron, too, if your 5 is getting hard to hit. Two things about using hybrid irons. They’re meant to replace irons, so you still have to hit down on the ball like you do with your other irons. Trying to sweep the ball as if it were a fairway wood doesn’t work too well. Second, and I tell myself this every time I get set to swing one, stay out of its way. Just make an easy swing and let the club do the work for you. The more you try to force the shot with a hybrid the worse it will be for you. There’s no substitute for practice, but if you want to buy some good shots, get some of these.